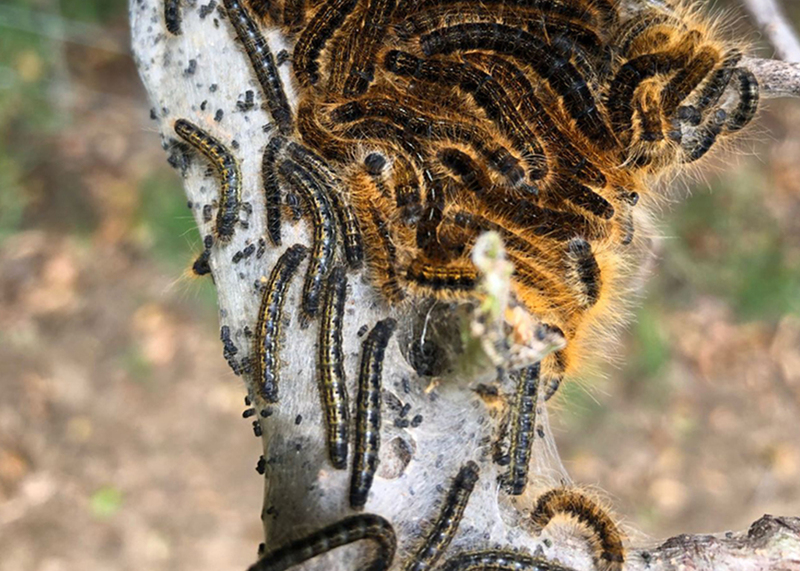 You may have heard about the recent swarm of painted lady butterflies in Solano County as they migrated from Southern Californian to Oregon and beyond. The painted lady is the most common butterfly species in the world. • Continue your support of Solano Land Trust. 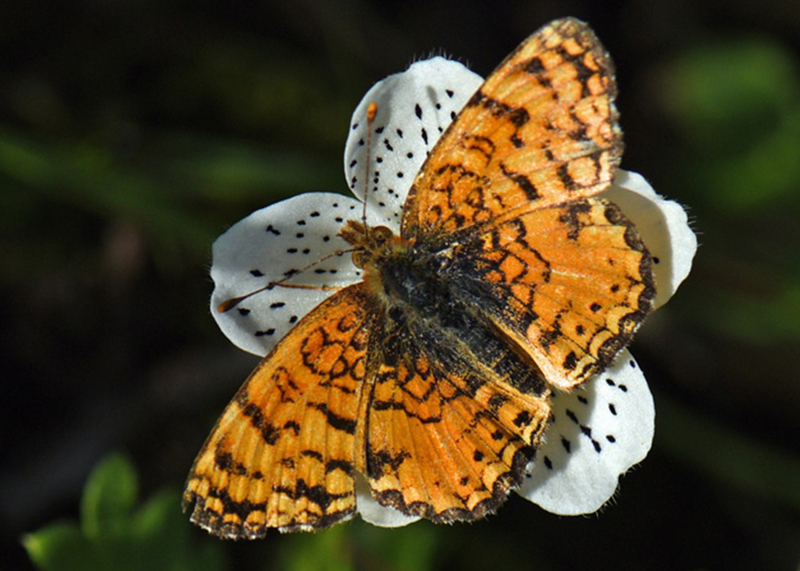 Plummeting butterfly numbers are connected to loss of habitat and habitat connectivity. Open space provides breeding and migratory habitat for butterflies. • Make your garden butterfly friendly. Here's a local how-to article about welcoming butterflies to your garden. • Be a Butterfly Hero. The National Wildlife Federation gives information on how to help Monarch butterflies and other pollinators. • Plant milkweed for monarchs. Here's an article on how to plant a Monarch butterfly-friendly garden. • Limit pesticide use, a cause recognized as being equally responsible to their decline as habitat loss. Which is the flower and which the silver-washed fritillary? 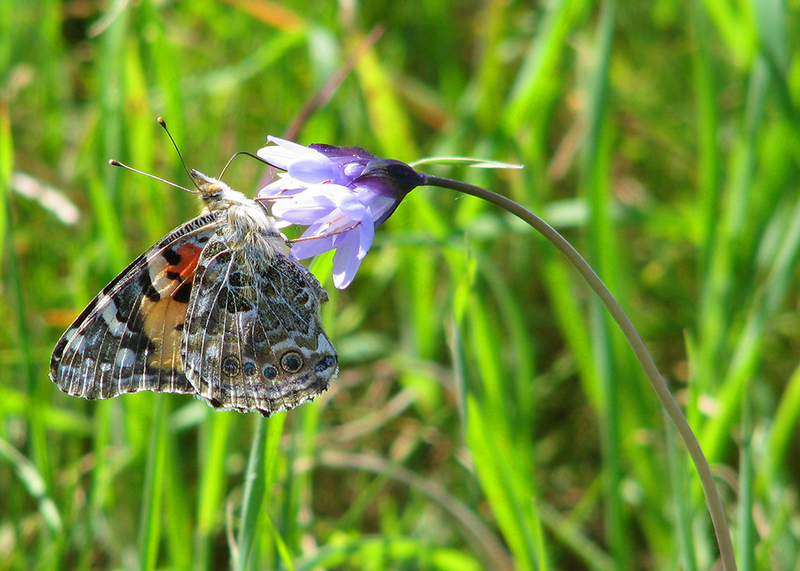 Natural areas provide habitat for butterflies in all their phases. Photos courtesy of Karlyn H. Lewis, Doug Wirtz, and Tim Malte.